The other day I was in Cole's Bookstore trying to find a really good book to read for the summer. I enjoy reading a lot, so I wanted to find something that would keep me occupied all summer. Well, my friend told me about a book called Twilight (the first book in the series). It's about vampires. Well, I thought it sounded stupid. Vampires? Yeah, right. I asked one of the people working behind the desk what book got a lot of good reviews, and she said Twilight. So I decided, Hey, can't be that bad, might as well. So I took the book home, started reading it, and couldn't put it down. 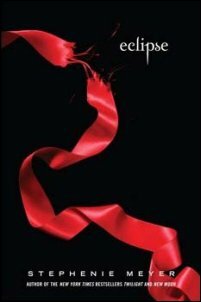 I was amazed at the way author Stephenie Meyer put so much detail into her novel. It was her first novel, and it was so fantastic. It's just a bit over 500 pages and it only took me 4 days to read. My mom was surprised at that. When I finished the book I just had to get the next one in the series, New Moon. I started reading it when I got it, and in just one sitting, I'm up to page 137. The series has so much drama that keeps you in suspense. I didn't want to put it down. I wanted to know what happened next. The way they describe every detail is like I'm one of the characters in the book. I can't wait till I am finished this book so I can go get the next one in the series, Eclipse. 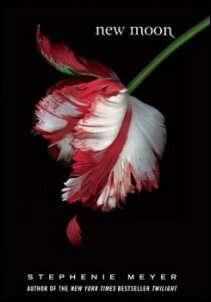 And when I'm done with that book, which won't take very long, I will go on to the 4th book, which comes out August 2nd, called Breaking Dawn. I highly recommend this series. Teenagers and parents would both love this book. The suspense is unreal. The way she writes everything is amazing. When she describes something you can picture it in your mind. The Twilight series was reviewed in the May '08 issue of SDM (Stephenie Meyer's Twilight Series).